What techniques do you use to track down bugs in your PSS/E scripts? Does reactive power of a machine impact on fault levels? How can I find all 500kV buses in an area? 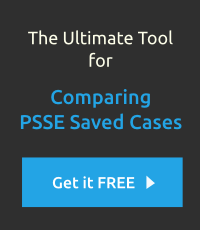 Is it possible to have two versions of PSSE installed simultaneously? What is the purpose for the default type values _i, _f, _s and _o? How do I open a version 29 raw file in version 30 PSS/E? How do I create a bus using psspy? How do I delete a bus from a working case? How do you determine the line constants for entering the 'branch' details? What is the default integer value in PSSE? How to detect if Python or PSSE is running the show. When running PSS/E from python how do I prevent progress windows from popping up? How to determine the requirement of a bus reactor? How to estimate the maximum asymmetric short circuit current? What does ierr8 (three-winding transformer table is full) for the three winding transformer mean? How do I change the loads on PSSE?